This small country (236,800 km²) of 6,5 million inhabitants has long been closed to tourism, both because of its rugged terrain and lack of communication channels that tilts it in the camp of the communist countries in 1975. 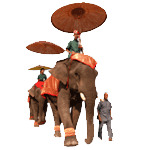 The "land of a million elephants" has always been an isolated territory, despite its position at the heart of the Indochina Peninsula in Southeast Asia and at the crossroads of great cultures of the region (China, Myanmar, Thailand, Cambodia and Vietnam). However, during the past ten years and thanks to foreign aid and accelerated improvements of road infrastructure throughout the country, transit of goods between China, Vietnam and Thailand and Tourism has increased. Implementing various programs that aim for social and economic modernism (trendy Thai or Chinese) have become common in the larger cities, which undergo major changes in culture and way of life, while villages are still fairly untouched, especially in remote provinces. A trip to Laos is still synonymous with discovery and sharing experience with people and ethnic minorities, a marvellous multitude of various landscapes, local culture and Buddhist heritage. 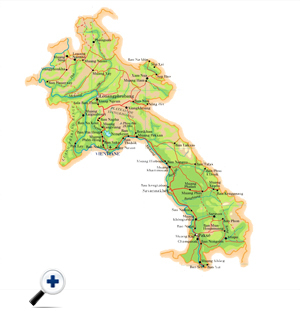 Laos is a landlocked country in SE Asia that covers an area of approximately 236,800 km², with a length of 1000 km. The south flowing Mekong River forms much of the border between Laos and Thailand, while the Annamite Mountain Range separates Laos and Vietnam to the east. The other countries sharing borders with Laos are China to the north, Myanmar to the northwest, and Cambodia to the south. Laos has nearly 40,000 km of roadways, of which just over 4000 km are paved. The infrastructure is growing as more roads are being paved, extending drivability further into the reaches of this country. Road 13, a main artery from Luang Prabang in the North, southwards through Vientiane, Pakse, and Champassak is entirely surfaced, as is the eastbound road leading to the Plain of Jars. Many roads throughout Laos act as connection routes to the neighbouring countries such as: Route 3 in the North, Routes 8, 9 and 12 on an east/west axis, and route 16 heading south. All these roads are paved and make for convenient transport. 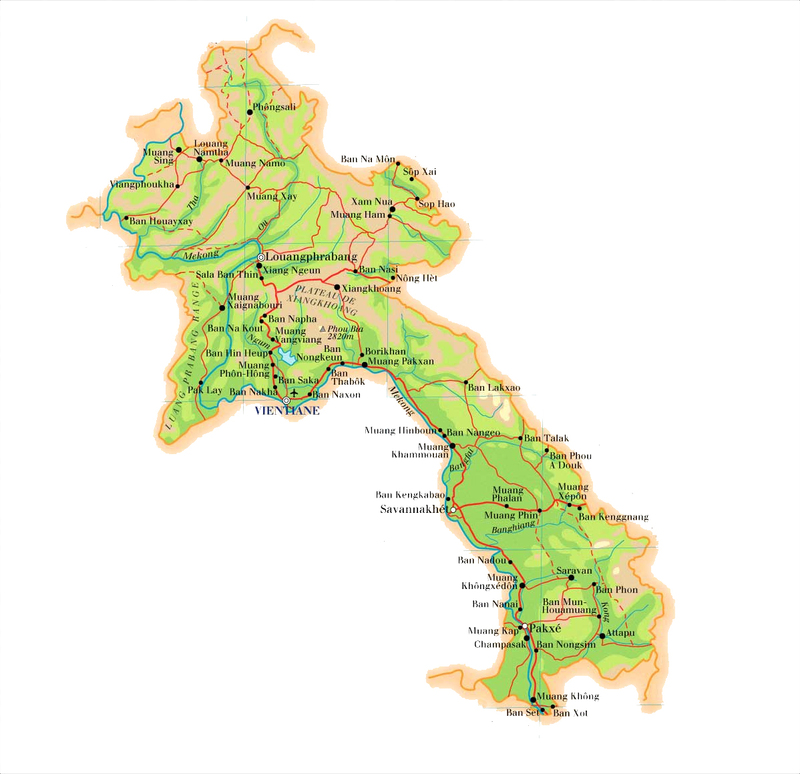 Estimated at 6.5 million people, Laos is the least populated country in SE Asia. It is also one of the most sparsely populated countries on earth with 26 people per sq km. Of these 6.7 million people, approximately 80% live in the northern part of the country. The Lao People's Democratic Republic was proclaimed in 1975. The executive power is controlled by the President Mr. Choummaly Sayasone who is assisted by the Prime Minister Mr. Thongsing Thammavong, who is turn in charge of the ministry council. Legislative power belongs to the national assembly, composed of 115 members who are elected by the people for a five year mandate.